I have been dreaming about you lately. How with your presence, you make me feel at ease. How the sound of your voice ensures me that I am safe. How your silhouette can never be enough. I was not able to hug you. I have not seen your face like how I wanted to remember it. Looking at me lovingly, smiling amidst the spaces between your teeth. I remember that one time we watched the moon together. Peering through your telescope one humid summer night, looking at moon craters whilst you having your fifth coffee of the day. You sitting at your handmade chair made of reclaimed wood, smoking your cigarette smiling back at me. I miss that look in your eye when you saw me go alight Hans' car straight from the airport. Your warm hug welcoming me back home. The same look you had when I graduated with honors. 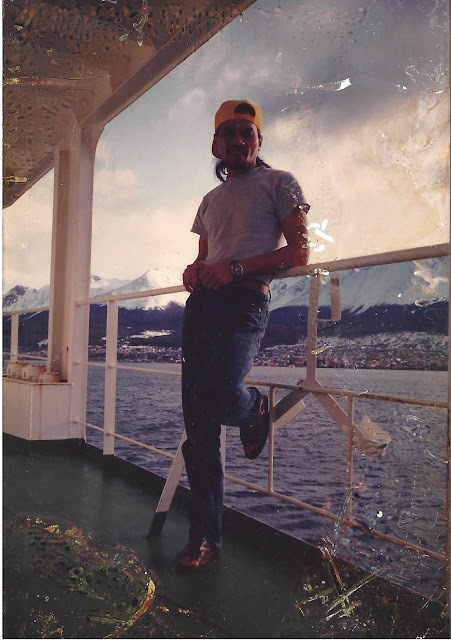 On the photo, my dad chilling with the Swiss Alps in the background. As you sail away from here, I hope you will be happier. It has been three months, it feels like an eternity. Here's me hoping that it will hurt a little less each day. This is a heartfelt post, teary eyed here. I'm not sure what it is, though I have an idea, I don't want to ask.